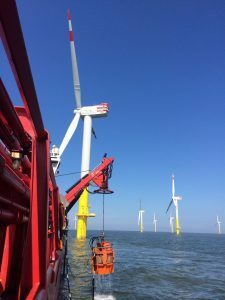 The Sea Axe being deployed on a wind farm project. Energy service firm JBS Group is increasing investment in a control flow, multi-purpose excavation tool which is expected to generate more than £3million in turnover this year. Peterhead-based JBS said demand for the Sea Axe has been so strong that the firm was considering building at least another two units to expand its global footprint. The Sea Axe was recently contracted for seabed preparation work for Statoil’s Hywind project off Peterhead. It has also completed a technically challenging job on the Nordergrunde wind-farm off the coast of Germany, post-trenching cable transitions over 19 monopiles. 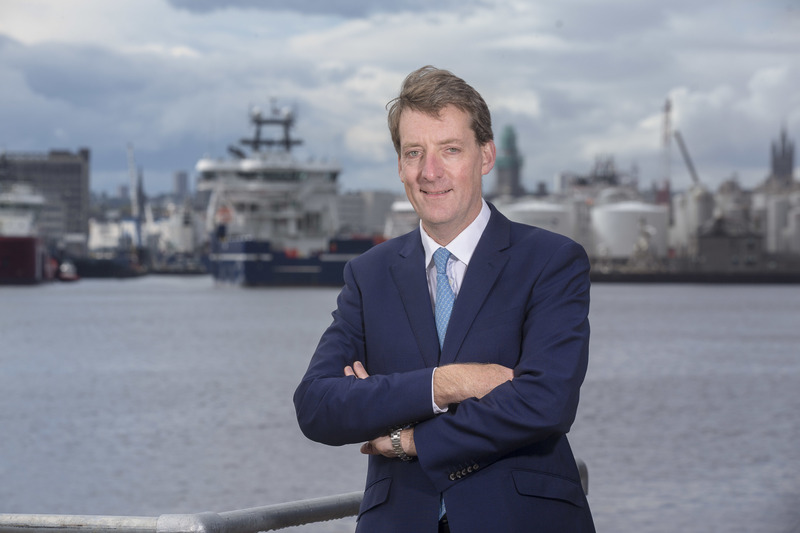 JBS director Alex Whyte said the order book for the company’s two Sea Axe units was “unbelievably strong” in current market conditions. Mr Whyte said at least one of the two Sea Axe tools would be on contract from now until the end of the year. The Sea Axe harnesses sea water, drawing it in through the top of the system through a driven impeller and discharging it through an exit nozzle which is interchangeable depending on the seabed conditions. That water erodes material on the seabed, creating a channel for laying cables. Enhanced technologies and more than 30 years’ experience have gone into producing the Sea Axe, described by JBS as the most stable control flow excavation tool on the market. Mr Whyte said Sea Axe’s stability was what sets it apart from other excavation systems. It has a wide range of applications. 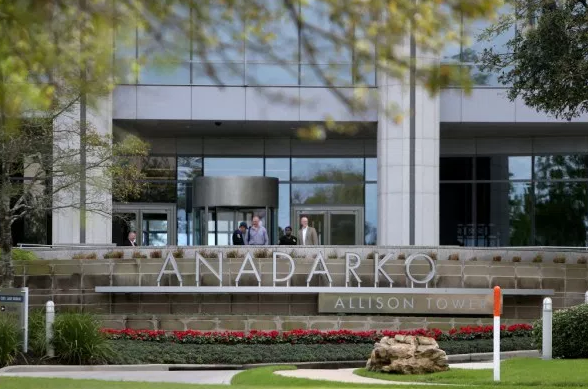 The tool could also be used for burying or uncovering cables, pipelines and subsea structures as part of a decommissioning program. Mr Whyte said the tool was non-intrusive, as it never makes contact with the cable. Rather, it erodes the material around it. 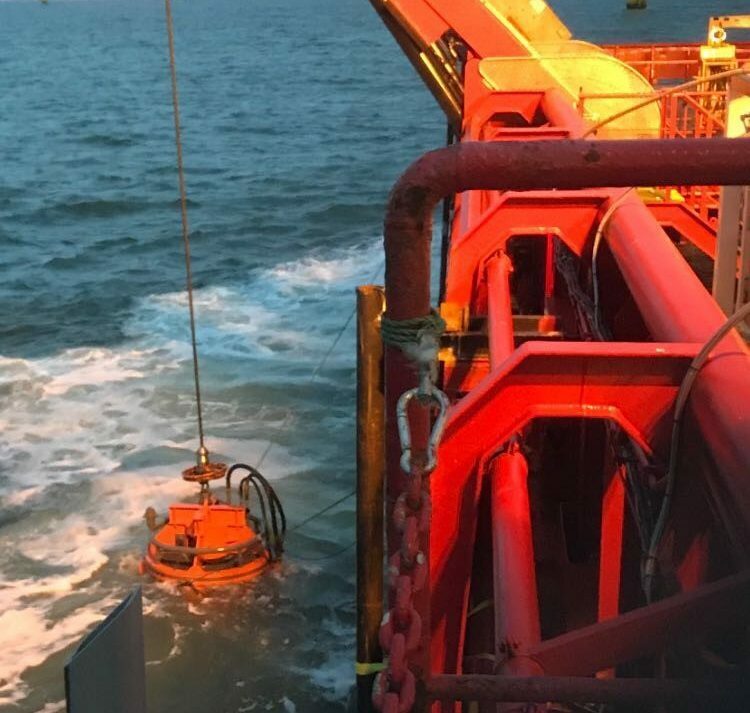 Many companies’ decommissioning plans involve leaving pipelines and equipment behind, but JBS believes the Sea Axe still has applications to offer like the burial of subsea mattresses. Sea Axe can resolve this simply, safely and cost effectively. The other plus points are that the Sea Axe does not take up much deck space and that JBS provides the manpower for operating the device. The company invested a total of about £1million − including research and development costs, design, marketing and salaries – in manufacturing the first two Sea Axes. JBS recently completed a senior management restructuring with the appointment of a new board to oversee the development of the business from a family-run company to an international service provider. Since the restructuring became effective, the business has received orders from 15 countries from the US to South Asia. • ATEX approved screw conveyors for zone 1 hazardous area use. • Design, manufacture and installation of steel structures for the oil & gas industry to include pipe spools, heat exchangers, spoolers, DNV approved structures such as frames and containers. Its welders are qualified to weld A333, A350, X52, 4130, 304L, 316L, Aluminium, Super Duplex 32760 and Cunifer pipework. • Xtegra industrial blast protection systems for pressure test and explosive containment. • Sea fastenings, vessel mobilisation and demobilisation crews.